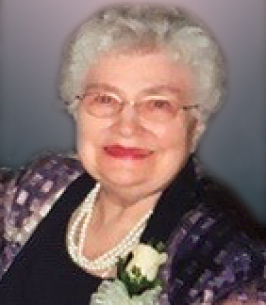 Peacefully with family by her side, Edith Matthisen left us to be with her Heavenly Father on October 14, 2018 at Meadowood Manor. She was predeceased by her mother Alice Craig (White), father Roland Craig and eldest son, Craig Matthisen who passed in 2009. Left to cherish mom and Gammy’s memory are her daughter Lynn (Randy) Hiebert; sons, Jeff (Zaida) Matthisen and Chris Matthisen; daughter-in-laws, Luba Scott and Kimberly Matthisen; 11 grandchildren and 12 great-grandchildren. Mom’s love, passion and convictions were not only evident in her devotion to family, friends and her church, it was also indisputable when it came to teaching, a profession that she was truly compassionate about. She taught in St. Vital School Division for over thirty years. Old Lavalee School, Victor Major and Darwin was where she shaped and cultivated young minds in the art of literature and history. A memorial service will be held at 11:00 a.m. on Friday, October 19, 2018 at Friends Funeral Service, 2146 Main Street, Winnipeg. A special thank you to all the staff at Meadowood Manor for their exceptional care. In lieu of flowers, donations may be made in memory of mom to The Children’s Wish Foundation. I was saddened to hear of Edith’s passing. Having taught with her for several years, she became a good friend. Visiting her at Meadowwood was always a pleasure. Cherish all your wonderful memories. My thoughts and prayers are with you all.